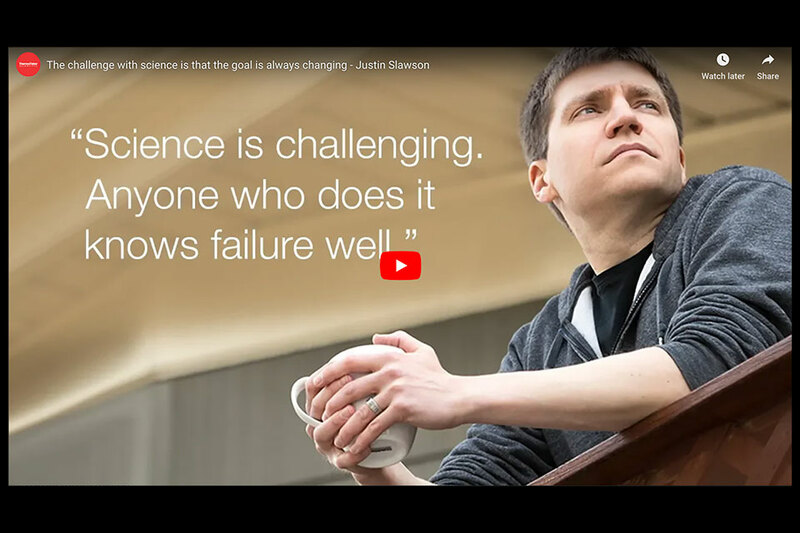 Justin Slawson received his Ph.D. in Neuroscience from Brandeis University in 2011. The PhD program is intended to be completed in 5-6 years. Students take 6 courses (3 required and 3 electives) over their first two years. This includes at least one reading and writing intensive course. Students take two required classes in the Fall semester that focus on Fundamental Neuroscience and Statistics and Data Analysis. They choose from two neuroscience electives in the Spring semester. Students may take advantage of the Boston Area Graduate Consortium and enroll in graduate courses at Boston College, Boston University or Tufts University. Students rotate in four different research labs. Following each rotation, students write a rotation report that is read and evaluated by two faculty members, and revise the report based on faculty feedback. In May, students join their thesis labs and begin working on their dissertation research. Students take a required class in the Fall semester that focuses on Grant Proposal writing and oral presentation, and an additional neuroscience elective in the Spring semester. Students TA two courses, one of which is typically a lab-based class. At the end of the second year, students write and orally defend their Thesis Qualifying proposal. The written proposal is later submitted to an appropriate funding agency. Students have the option of taking an Advanced Data Analysis course that is focused on developing novel methods to analyze data collected during their dissertation research. The Neuroscience PhD program at Brandeis has a highly interactive research culture, with many cross-lab interactions and collaborations. This interactive culture begins with the rotation program: all first-year PhD students perform research rotations in four labs, so upon choosing a PhD research lab each student will have established scientific and personal connections with at least three other labs. Students sometimes chose two co-mentors for their PhD, combining research from two rotations for their dissertation work. The “Student Research Seminar Series”, colloquially known as “Pizza Talks” is the hidden gem, and in many ways the highlight of graduate training in the Neuroscience program. Starting in their third year, Neuroscience and MCB PhD students present their research progress to the entire neuroscience and biology research community. These talks are taken very seriously by students, and many credit Pizza Talks for giving them the skills, confidence, and ability to communicate their science to the broader community. Neuroscience students can participate in one or more weekly Journal Clubs focusing on broad neuroscience topics, computational neuroscience, human psychology, and genetics and molecular biology. Students present in journal clubs starting in their second year, and receive presentation feedback from peers, postdoctoral fellows, and faculty. One benefit of being in the Boston-area is access to the rich network of academic excellence at nearby institutions. This is evidenced by the high quality of outside speakers invited to present their research at the weekly Joint Biology & Neuroscience Colloquium. Students attend seminar, and have the opportunity to meet with speakers in small groups for lunch. Many neuroscience students choose to enter the Quantitative Biology program to receive additional quantitative training. The Quantitative Biology Program (QB) at Brandeis University is an interdisciplinary program whose goal is to prepare the next generation of scientists working at the interface of the physical and biomedical sciences. PhD students in QB are trained to apply quantitative experimental techniques, physical models and mathematical analysis to important problems in biomedical research. Students are given a rigorous background in their chosen scientific discipline, and at the same time are trained to work effectively as members of the cross-disciplinary teams that are essential to emerging modalities of scientific investigation. The Brandeis MRSEC supports Interdisciplinary Research Groups. IRGs are composed of Brandeis faculty who, with their students and postdoctoral associates, investigate fundamental scientific questions and pathways to reach significant technological goals that can only be properly explored in a collaborative, multidisciplinary mode. These problems are too large in scope to be addressed by individual faculty members and their students. Neuroscience students in MRSEC labs have the opportunity to work on creative research questions involving creating novel BioInspired materials.